Leeds United players on the pitch ahead of the Pre-Season Friendly match between Southend United and Leeds United at Roots Hall, Southend, England on 22 July 2018. Picture by Stephen Wright. 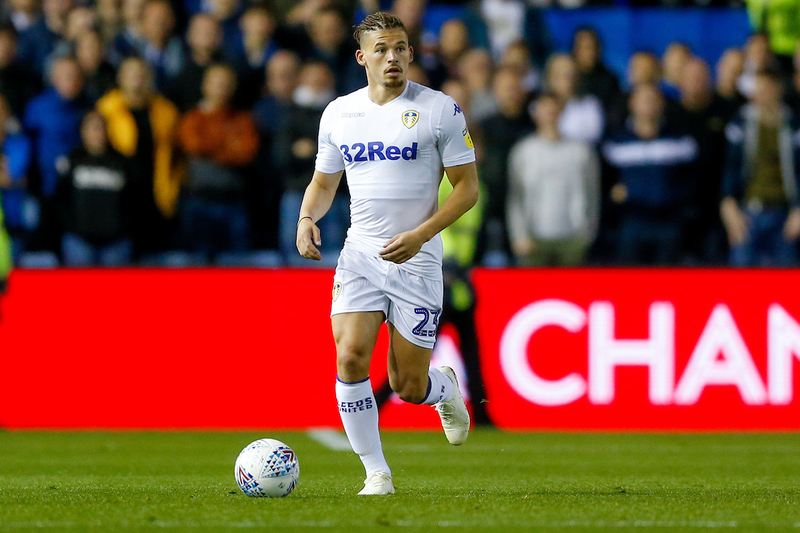 Kalvin Phillips has been the most discussed and debated player at Leeds United in the last couple of years and it’s been tough for a player who has been around for what seems a very long time. Only the likes of Liam Cooper and Gaetano Berardi have been around the first-team for as long as Phillips, and yet, he’s still proving himself. Every fan has a different view on a player, even if it’s very slight. Phillips seemed to split fans down the middle in the last couple of years, going back to the first and only season under Garry Monk. Steve Evans hadn’t really given him a chance in the previous campaign and although Redfearn and Rosler had used him in parts he was never a player who would expect to be playing come the day of a game. That all changed under Garry Monk. He and Ronaldo Vieira joined Eunan O’Kane and Liam Bridcutt in competing for two midfield positions. Phillips was mainly used in a deeper midfield role with another, most notably Ronaldo Vieira, although he and O’Kane played plenty together. He established himself in the eyes of Garry Monk but many fans weren’t convinced with his contribution. He played his fair share of games and the arrival of Thomas Christiansen last summer saw him moved into a more attacking role, despite playing from the same area. A brilliant start soon faded away and he struggled throughout, the question marks that never really left him were back. Leeds United midfielder Kalvin Phillips (23) during the EFL Sky Bet Championship match between Sheffield Wednesday and Leeds United at Hillsborough, Sheffield, England on 28 September 2018. The two games he struggled in were hard for him, and he was hooked before half-time in each. For any footballer Sunday League to World Cup this isn’t a good feeling. After both games Phillips has been backed by Bielsa and then returned in the following game to produce a very good and assured performance. There is little doubt the question marks over him have helped him get to where he is now.